Controller -the high-quality pulse device allowing in a continuous mode to transform electric energy of a wide range to energy necessary for a charge of the storage battery. 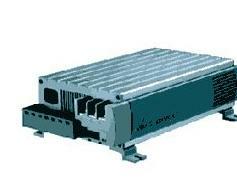 Standardly controller is intended for a charge of the storage battery in 24 volts. There are also other updatings of controller allowing to charge the accumulator 12, 48, 60 volt, such controllers are made under the order. Controller is developed and made in such a manner that is capable to provide a charge of the storage battery, accepting electric energy in its any kind. For the controller the form and frequency of an entrance signal has no value. Capacity on an output of the controller depends on capacity of a source to which it is attached. As such source wind-driver power station , the solar battery, petrol or diesel power station, and also the local electric system of any quality can serve. Characteristics. The minimal voltage on an input (a constant component), V 30 The maximal voltage on an input (a constant component), V 350 The minimal voltage on an input for maintenance of rated power on an output (a constant component), V 80 Selection of capacity from a source, On a sine using correction P Rated power on an output, W 1000 Rated current on an output, A 36 The maximal current on an output, A 40 The maximal voltage on an output, V 28,4 The maximal capacity, W 1136 Compulsory cooling, No Protection against short circuit, Is, Mode of restriction max a current Protection thermal, Is Opportunity of use as network charge devices, Is Dimensions of mm, 300 o 190 o 90 Weight 4,7 kg Guarantee, month 12 Service life, years 20 The price, euro 1300 Small dimensions, and weight allow to transport the controller in the most remote places globe. 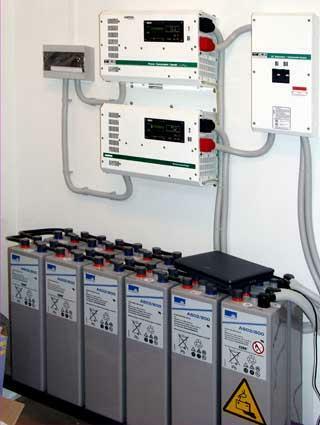 Using controller, the User has an opportunity to use own storage batteries and the inverter at own discretion (capacity and the form of a signal).